Both freshman and JV football were geared up and ready for rivalry week, but it was the freshman team’s second game and JV’s first and both teams made mistakes. 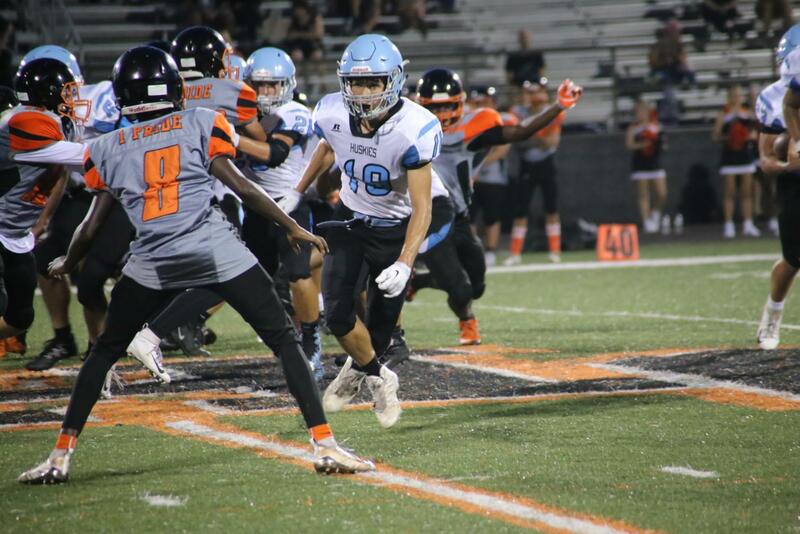 On Thursday, Sept. 6 both teams fell to Oviedo: freshman lost 27-14 and JV lost 34-14. Freshman football started with a lead by two points until the end of quarter one when Oviedo scored, making it 7-2. Oviedo scored twice throughout the end of second and third quarter. With 3:26 left in the third, #27 Antwone Felix scored, making the score 21-8. Felix scored again with 5:48 left in the fourth, making it 28-14, but Oviedo put the game away with one more touchdown. Due to cancellations of the prior two games, the rivalry week game was JV’s first time getting onto the field. The coach felt they played hard for their first game and even though they made mistakes, they overcame a lot of them. Oviedo was ahead 19-0, before Hagerty scored a touchdown in the third quarter. By the end of the fourth quarter, both teams scored again for a final score of 27-14. The final score for the JV game was Oviedo 27, Hagerty 14. “It was a tough loss and we are disappointed, but this was our first game and I know we will get better,” defensive lineman Dorian Mendez said.